Also available furnished for $9500. Large and luxurious, amazingly peaceful and ultimately private. 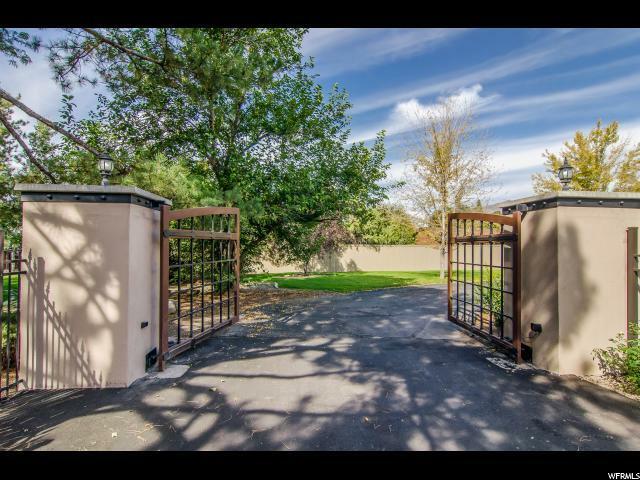 This gorgeous executive home is privately gated, newly remodelled, smart, on an extremely private .87 acre lot and has incredible views of Mt Olympus. 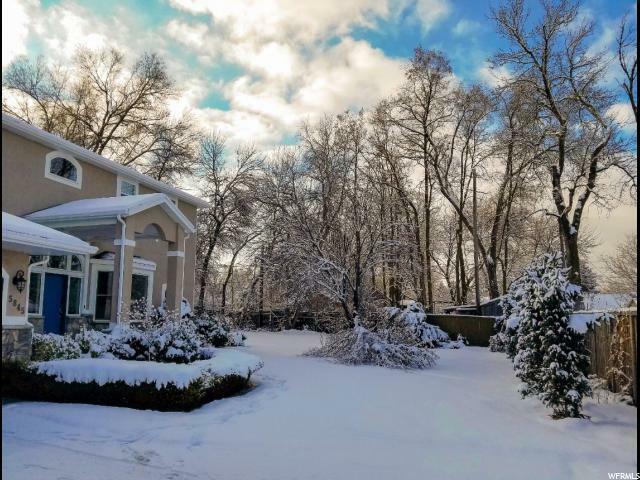 It sits on its own private lane, nestled among large cottonwood and silver maple trees and located in the heart of Holladay. 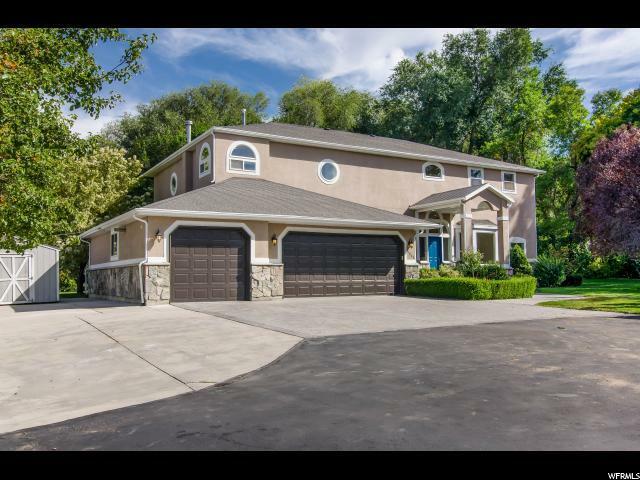 Completely remodeled with virtual reality / yoga room, 3 brand new HVAC systems, remodeled kitchen, Castlewood Oak hardwood floors, new carpet, remodeled master suite, remodeled baths, remodeled laundry room, new LED canned lighting throughout. The kitchen is updated with beautiful cabinetry, granite countertops and Thermador appliances. The master suite is spacious and includes an extra large steam shower including a large rain shower, a stand alone tub, three closets, two sinks, a fireplace and a large private balcony with views of Mt. Olympus. The yard, both front and back, are park-like. 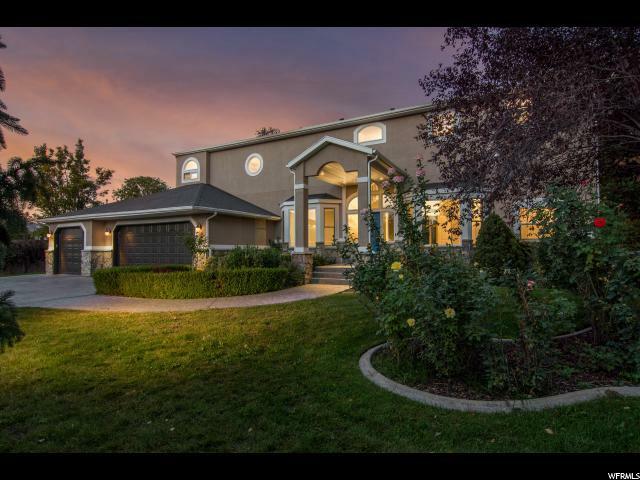 This is a must see for location, privacy, beautifully remodeled interior and exterior, technology and size. If you are looking for an updated, smart, executive estate near everything, this is a must see. Nearby SLC ski resorts, downtown and airport. Smart home features include: Lutron lighting system, Nest Thermostats, Nest Hello, video doorbell, Nest deadbolt, WiFi controlled garage door openers, B-hyve Smart sprinkler controllers. Square footage figures are provided as a courtesy estimate only and were obtained from tax records and aprraiser. Buyer is advised to obtain an independent measurement. Also for sale. Utilities not included in lease.